Looks absolutely delicious, your site makes me hungry whenever I come here. Very cool blog. I'm afraid this wouldn't work if you cooked it on the grill. 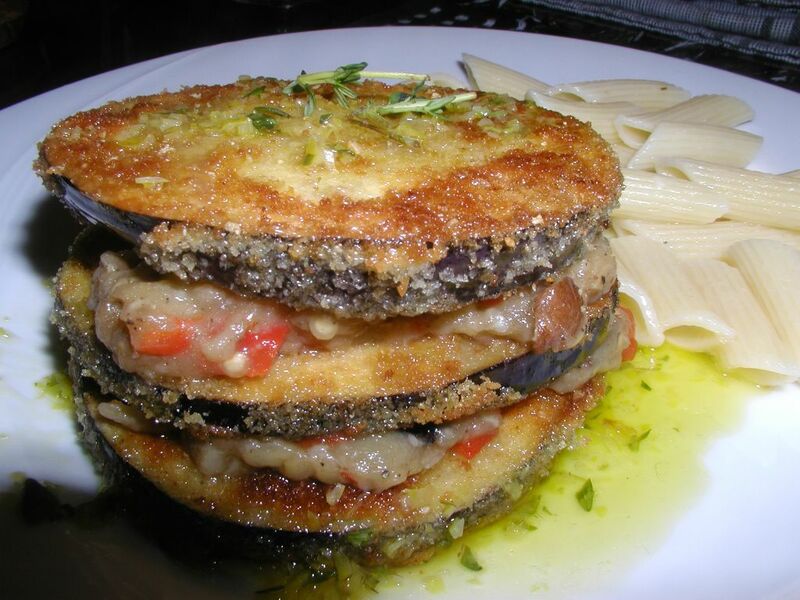 You need to saute the eggplant slices in olive oil to get them nice and crispy. But I'll bet you could grill slices of eggplant and layer them with the filling in this recipe. Why not? And I've used PAM on occasion, but never, never, never, never have I ever, ever, ever, ever used SPAM! My Italian family would banish me forever to culinary ignominy should I ever resort to that sort of infamy. Thanks for stopping by and thank you for your kind words.